The kidneys are extremely important organs. These natural filters help remove extra water and toxins from the blood, stimulate RBC production, and control blood pressure (1). But sadly, most of us take these vital organs for granted. According to the National Kidney Foundation, millions of people are affected by kidney disease (2). Besides the high treatment cost, the excruciating pain your body and loved ones will go through is unimaginable. So, start taking care now. 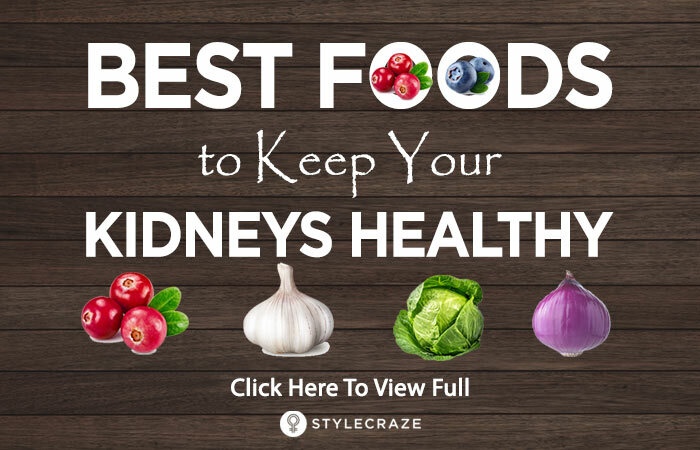 Here is a list of foods for a healthy kidney you should add to your diet. Swipe up! Water is a miracle potion. It has the power to bring you back to health. But do not go overboard. 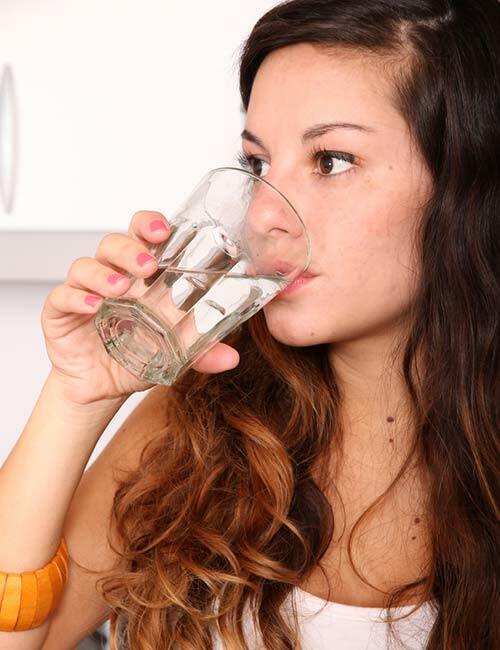 The recommended amount of water to be consumed every day is 8 glasses for women and 13 for men. It is best to consult your doctor to understand how many glasses of water you should drink per day depending on the condition of your kidneys and daily activity. Cabbage is a leafy vegetable that is packed with phytochemicals. The antioxidants present in it help scavenge the harmful free radicals in the body, thereby reducing the risk of cancer, cardiovascular disease, and renal dysfunction. Cabbage is a rich source of vitamins and minerals, but not the ones that are potentially harmful to the kidneys. 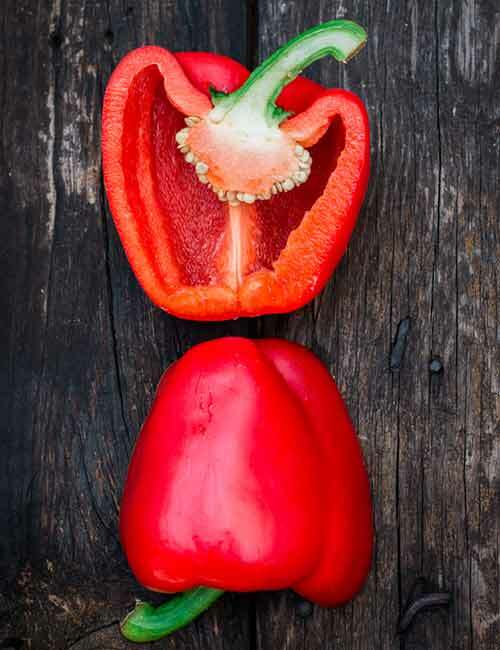 Red bell peppers are good for kidney health as they are low in potassium. They also add color and taste to the dish, along with vitamins C, B6, A, folic acid, and fiber. Red bell peppers contain the antioxidant lycopene that offers protection against some types of cancer. You can add red bell peppers to tuna, chicken salad or just have them raw. Onion breath might be a turn-off, but onions help keep your kidneys properly functioning. They contain flavonoids and quercetin that prevent the deposition of fatty material in the blood vessels. Quercetin is an antioxidant that can reduce the risk of heart disease and cancer. Onions are kidney-friendly and low in potassium. They also contain chromium that helps metabolize fats, proteins, and carbohydrates. 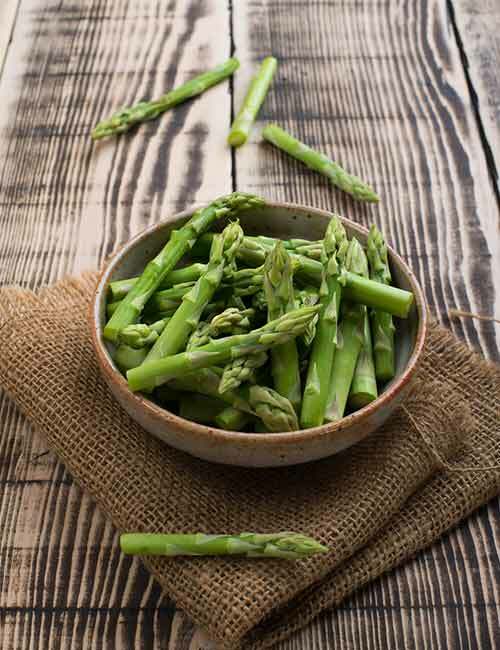 Asparagus is low-cal and loaded with vitamins A, K, and C. In hypertensive rats, asparagus had shown to preserve renal function (3). But it is a little on the higher side in minerals like potassium, calcium, and phosphorus. So, you must talk to your doctor before consuming asparagus. You can grill it or blanch with other kidney-friendly foods for dinner or lunch. Like onions, garlic has a pungent smell. However, it is one of the most potent herbal medicines. Plus, it helps enhance the flavor of foods to which it is added. Researchers have found significant evidence that garlic juice, along with metformin (a drug prescribed for diabetes type 2 patients), showed renoprotective effects (4). Cauliflower is a kidney-friendly cruciferous superfood that is a rich source of vitamin C, folate, and fiber. It also contains compounds that are important for the liver and neutralize toxic substances in the body. 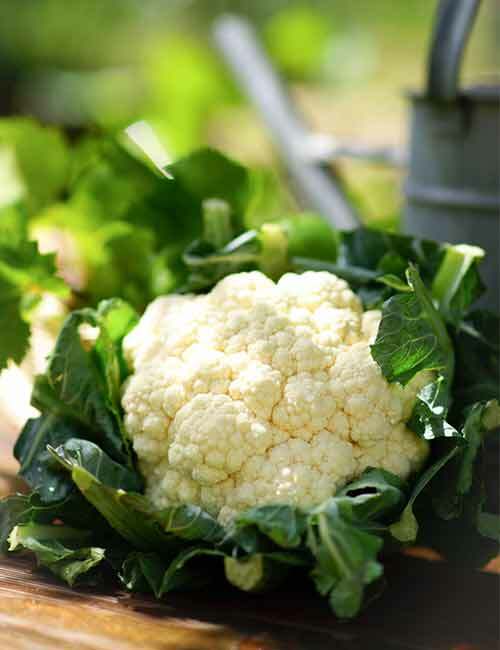 Cauliflower can be consumed boiled, blanched, raw, as a dip, or in salads. Apple is a rich source of vitamins, minerals, and fiber. It has anti-inflammatory and antioxidant properties that help reduce bad cholesterol, heart disease, cancer, and diabetes (5). Since diabetes is closely related to renal failure, consuming apples can help protect you from kidney problems. Apples can be eaten raw or cooked. You can also make a tasty beverage. Cranberry juice is a popular home remedy for urinary tract infection (UTI). Due to its antioxidant properties, it is a great natural antibiotic that prevents any bacterial growth in the digestive tract or the kidneys. 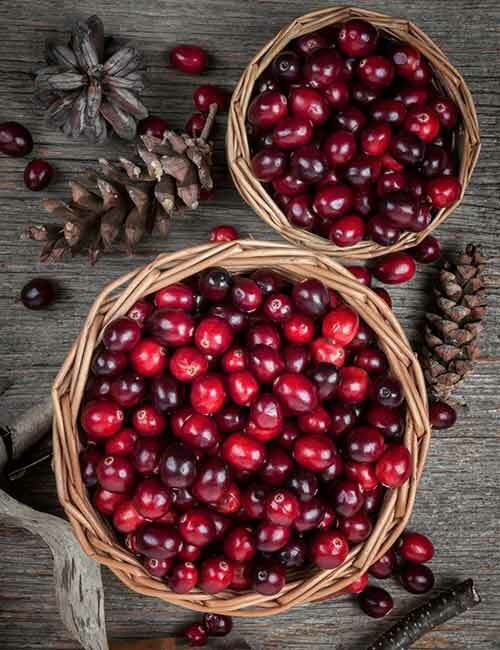 A research study showed that cranberries had the potential to treat calcium oxalate kidney stone (6). Always consume fresh cranberries or use fresh ones to make juice. However, do not drink too much of it to prevent overworking the kidneys. Fish is a high-quality source of protein and polyunsaturated fatty acids (PUFA). Among the components of PUFA are omega-3 fatty acids, which are beneficial for reducing inflammation, scavenging free oxygen radicals, preventing heart disease, lowering LDL cholesterol, and protecting the kidneys. Scientists have found that consuming fish PUFAs can slow down the progression of kidney disease (7). Research also suggests to avoid consuming blue bobo, parrot sand bass, and yellowedge, and instead consume yellowtail snapper, broomtail grouper, and southern flounder (8). These bright green seeds are more than just pretty. Loaded with dietary fiber, vitamin E, zinc, protein, copper, and iron, they have been scientifically proven to lower the risk of bladder stones (9). 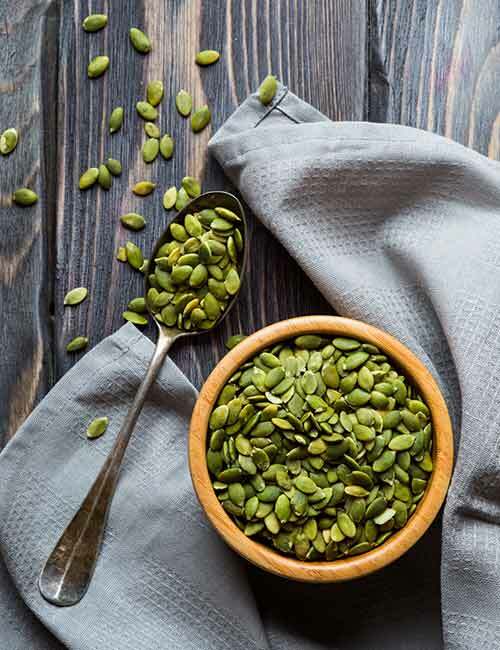 Since the seeds are also high in phosphorus and might increase the potassium levels in your body, talk to your doctor before consuming them if you have renal issues. Lemon juice has the potential to help treat kidney problems. The vitamin C and citric acid in it help maintain the internal pH, promoting better health and stronger immunity. Drink lemon juice in the morning or before lunch. Make sure to dilute it in a cup of water and refrain from adding refined sugar. 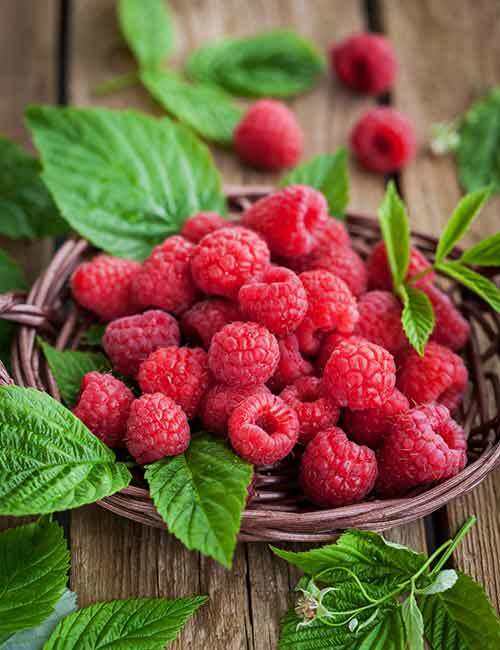 Raspberries contain ellagic acid that neutralizes the harmful free radicals in the human body. Dr. Joan Brookhyser Hogan recommends raspberries for patients with kidney disease in Dialysis & Transplantation (10). The red color indicates that these berries contain anthocyanins, and they are also a good source of dietary fiber, vitamin C, manganese, and folate. Raspberries are also helpful in preventing cancer cell growth. As mentioned earlier, kidney failure or disease is closely related to diabetes. And diabetes is connected to bad eating habits and obesity. 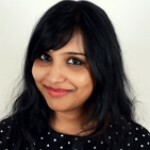 So, if you are obese, your kidneys might get affected. In this context, scientists have conducted experiments by feeding obese laboratory mice with purple sweet potatoes and found that they helped reduce inflammation and body weight. This, in turn, could help prevent kidney dysfunction (11). However, you should talk to your doctor before consuming these as they are high in potassium. Blueberries are packed with antioxidants that help cleanse the body of toxins. They are rich in nutrients that can help reduce inflammation. 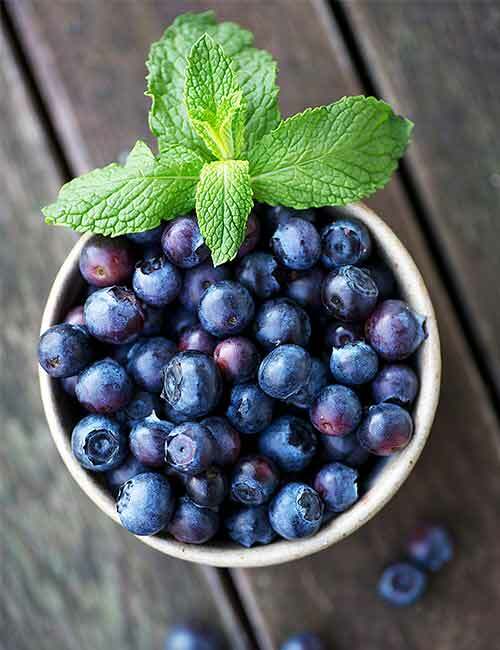 Researchers found that blueberries could help inhibit the signaling pathways that lead to renal failure in animals with metabolic syndrome (12). 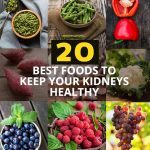 So, include them in your breakfast to lose weight and protect your kidneys. Strawberries are a rich source of antioxidants, vitamin C, manganese, and fiber. They have anti-inflammatory and anticancer properties and are a good choice for a healthy heart and kidneys. However, their contribution to better kidney health is contested. So, talk to your doctor before consuming them. 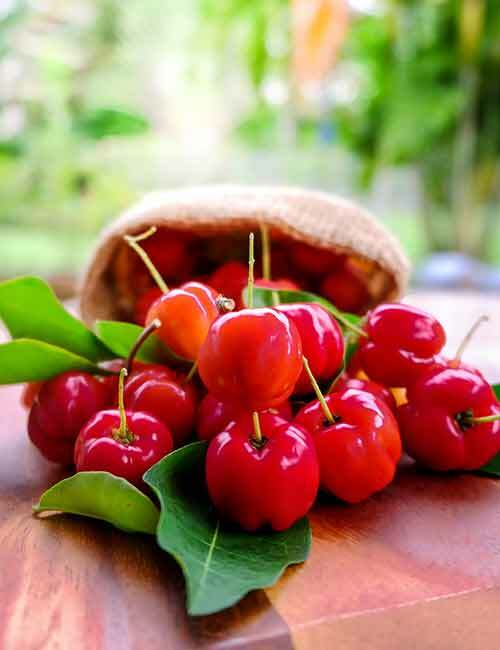 Cherries are a rich source of antioxidants and phytochemicals that help protect your heart and kidneys. Consuming them daily helps in reducing inflammation in the body, especially in the kidneys. Red grapes are loaded with a natural polyphenolic compound known as resveratrol, which offers many health benefits like improving heart health and protecting the kidneys. Resveratrol helps ameliorate renal injuries, such as ischemia-perfusion injury, drug-induced injury, diabetic nephropathy, etc. (13). So, consume red grapes in adequate amounts to boost the health of your kidneys. 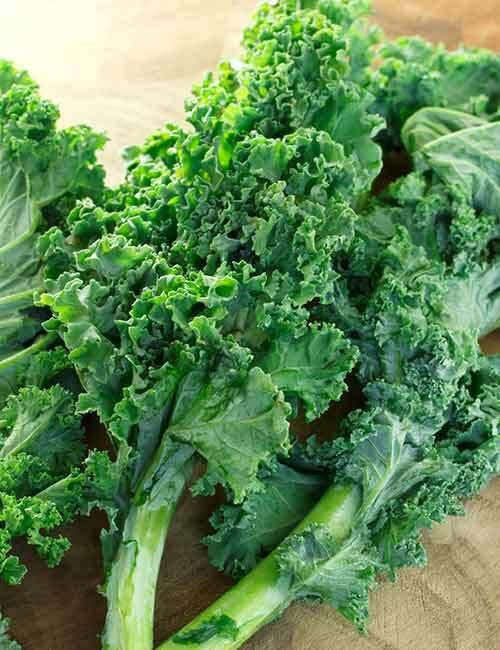 Kale is a rich source of nutrients that regulate the postprandial blood sugar levels. Since, diabetes is closely related to kidney failure, consuming kale can help take care of both diabetes and diabetic nephropathy (14). However, you must talk to your doctor before consuming kale, especially if you are already suffering from kidney disease. Watermelon is loaded with a potent antioxidant – lycopene. It helps scavenge the harmful free oxygen radicals, thereby preventing renal injury (15). But do not to consume watermelon in huge quantities as that can backfire. Talk to your doctor before consuming it if you already are suffering from kidney disease. This is the list of foods you can consume after consulting your doctor. Now, let me tell you which foods you must avoid at all costs. To keep your kidneys healthy, you must consider tweaking your lifestyle. Avoid consuming too many protein-loaded foods or foods that are, in general, not good for health. You should also go for walks or run to keep your body functioning properly. Finally, always keep your doctor informed about your food habits if you are suffering from kidney disease. 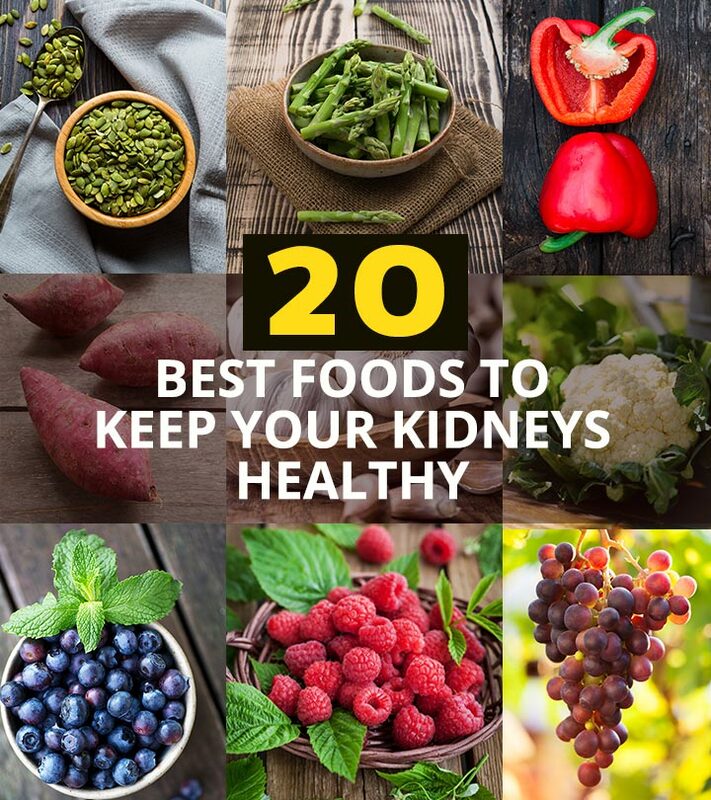 We hope this list of foods for a healthy kidney has given you a better idea on where to begin. Remember, it’s not too late – start now! Good luck!